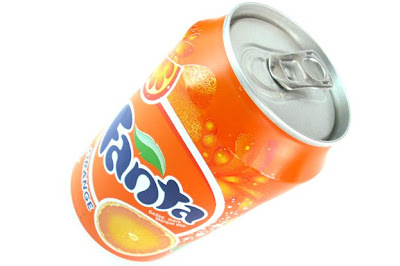 Here is the new Fanta design not bought in any special country but in the Netherlands. The design isn't really special but not really my taste of design. They made a new font type and logo which is more bolder and also stopped with the special design for the "play on!" theme. Not really digging th overall design of the can and not really thinking its a major improvement. Lately seen many package design that went to a simplistic design but gone bit overboard making it look more like an old design then refreshingly new, while the old design doesn't even look anywhere close to this design. In a few weeks I will be traveling to Germany again and try to find the reclosable cans again, and will also be visiting an Art Academy in Kassel to visit people I met during Graphic Design Festival and also to look at works of students there .